In all services on January 12 and 13, we celebrated all God did in and through us during the Take Root initiative. We were reminded of the impact that was made as a result of rooting our lives more deeply in Christ for the sake of others. We are thankful for the past and are looking toward the future of Christ Church in joyful expectation of all He can and will do through us. 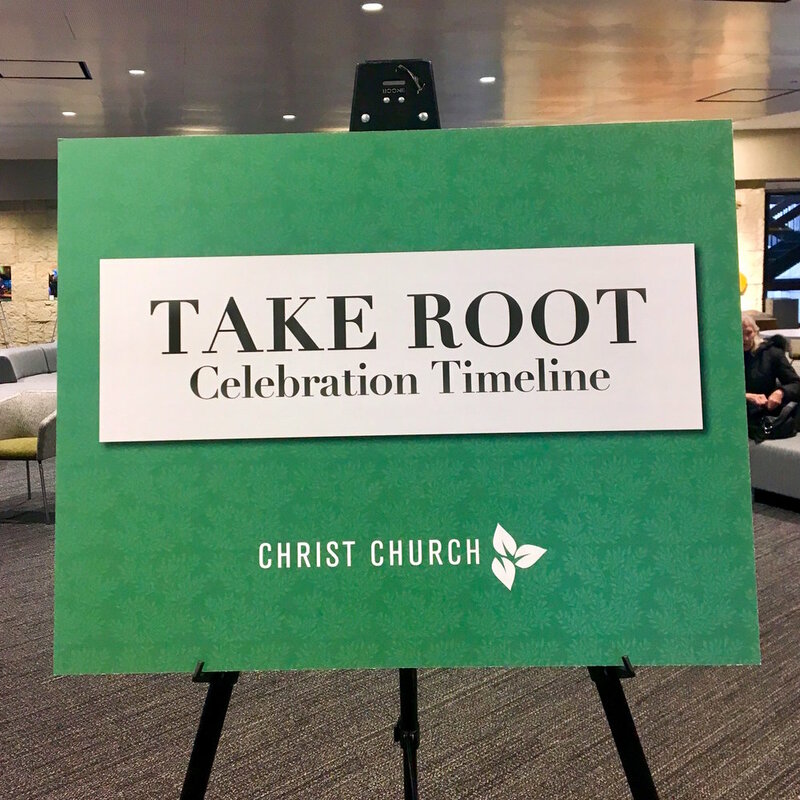 Join us at any of our worship services on January 12 and 13 to celebrate Take Root. Together we will celebrate the impact of rooting our lives more deeply in Christ for the sake of others and glorify God for all He has done, while looking toward the future of Christ Church. 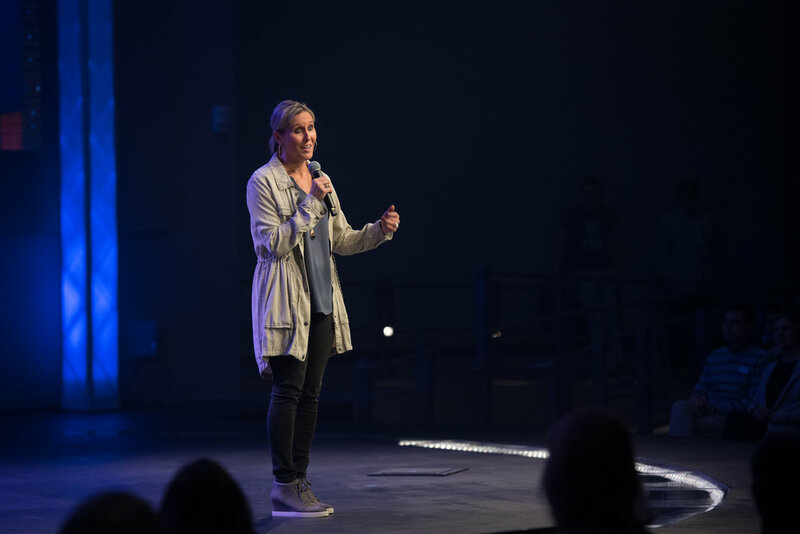 Throughout our two-year Take Root journey, we have heard numerous stories of life-change within our church family and we are trusting that God will continue to provide through our generosity. We are in a season of giving, but let’s commit to living a generous life even after this initiative ends. 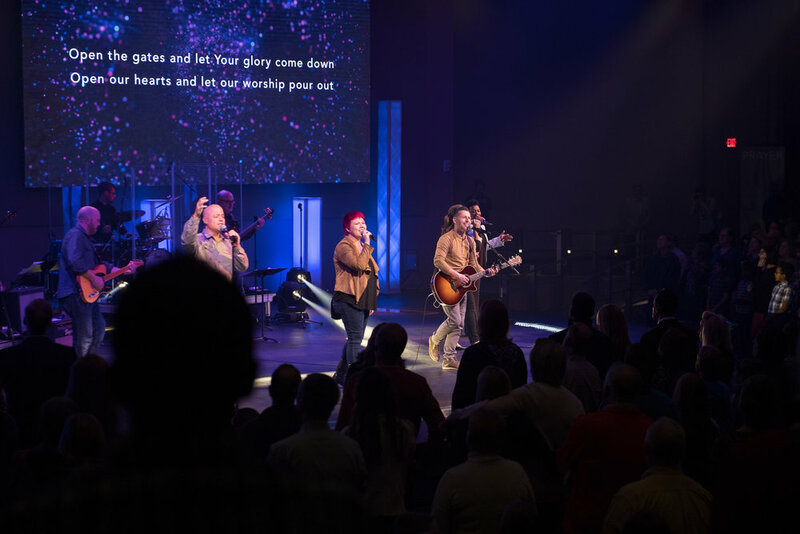 At Christ Church, we have both Classic and Contemporary worship styles, allowing more people to feel welcomed here. The generosity of many has helped make this possible. We’re overflowing with gratitude from the support throughout our Take Root journey and look forward to bringing more people into a closer relationship with God. Help us Finish Strong below. 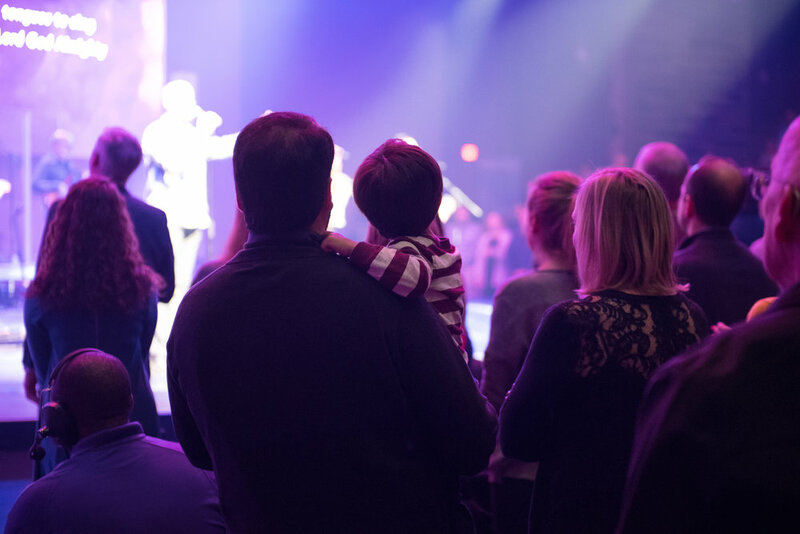 We are excited about the growth happening in our church, not just in our physical campus, but in the hearts and lives of so many here, near, and far. Read our latest Take Root Quarterly Update here! Thanks to the generosity of many and the servant hearts in the Christ Church family, lives are changing here, near and far. We’ve been inspired to go into all the world and God is using us for good! Learn more about the ways you can serve and join the mission at Christ Church below. Christ Church on the corner of 31st St. and York Rd. is a place where you feel welcome, known and loved. 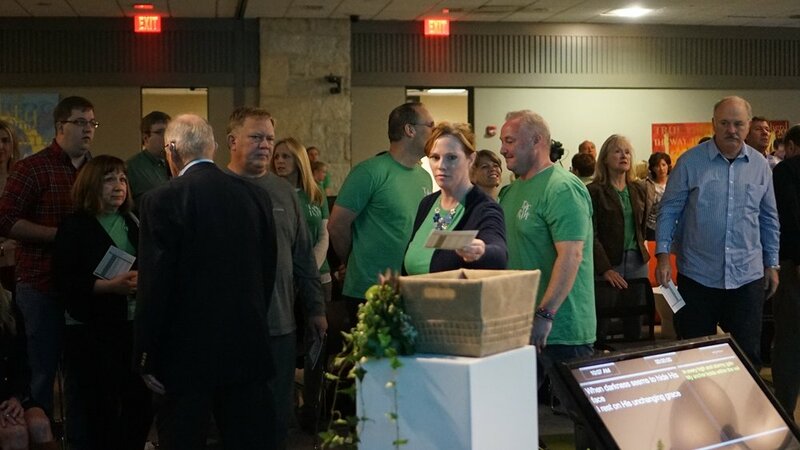 We’re thankful for the generosity and faithfulness of many that allowed us to expand our Oak Brook location so we can welcome more people into our community. We invite you to come thrive with us. 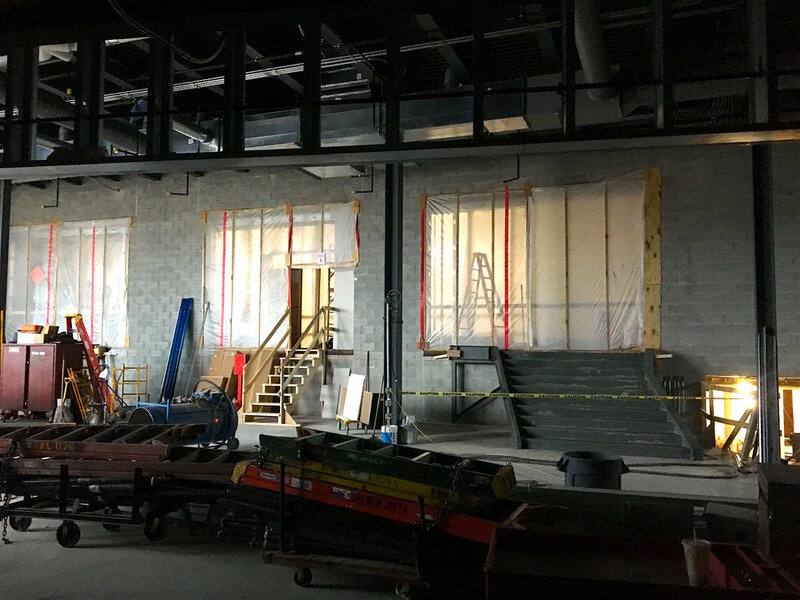 See more updates throughout the construction project by clicking below. 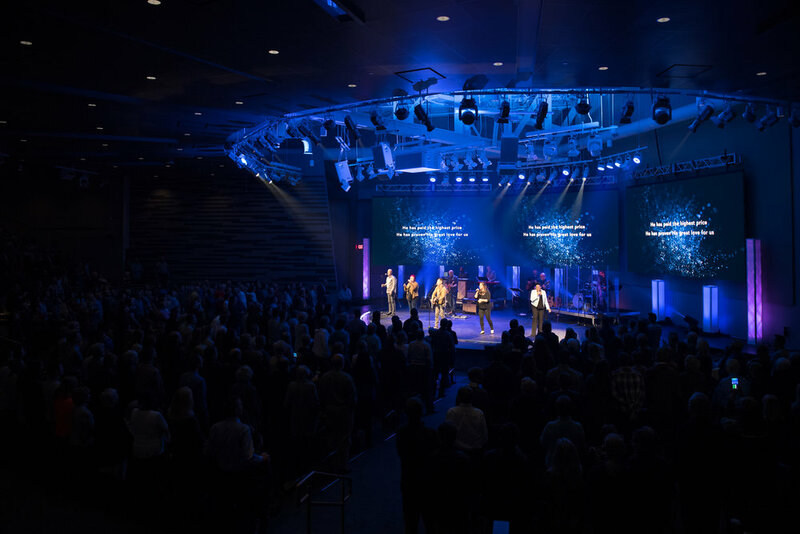 God is on the move in the Downers Grove area and we are constantly inspired by what He is doing in the lives of the people at our first multisite branch. The amazing growth and life-change we are seeing is possible in part by the generosity of the Christ Church family! Click below for more information on what God is doing in the lives of people at our Downers Grove location. The children and students of our Family Ministries are truly inspirational. We’ve been constantly in awe of the faith and generosity of some of the youngest people in our church family as they have played a huge role in our Take Root initiative by giving sacrificially. Click below for more information on programs and events for children ages birth through high school. The Prayer and Care Ministry is one of the many areas of our church that has flourished and benefited from your generosity. Our 80 prayer ministers and pastors visit and call more than 300 people each month, bringing hope and help to those going through some of life’s toughest challenges. Click below for more info on ways we can help you and your loved ones through some of life’s toughest challenges. Would you like to be a part of the impactful work God is doing through our partner, Resilient? Click below to learn how you can serve with us and help make a difference in the lives of people in our community. 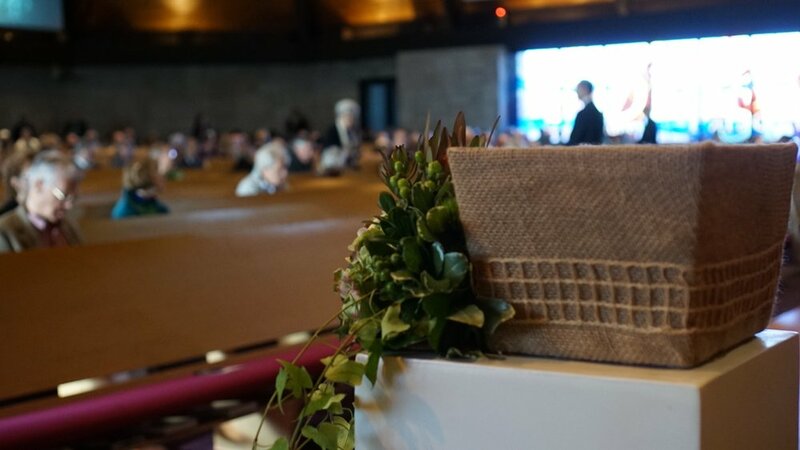 The time is here to give thanks and worship for the first time as an entire church family in the new Auditorium at Christ Church in Oak Brook. 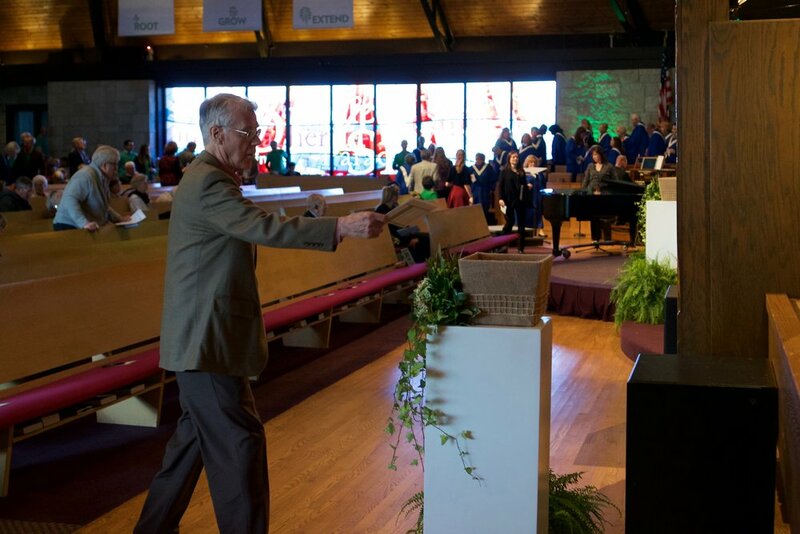 The open house and dedication service will celebrate a defining moment for the church. 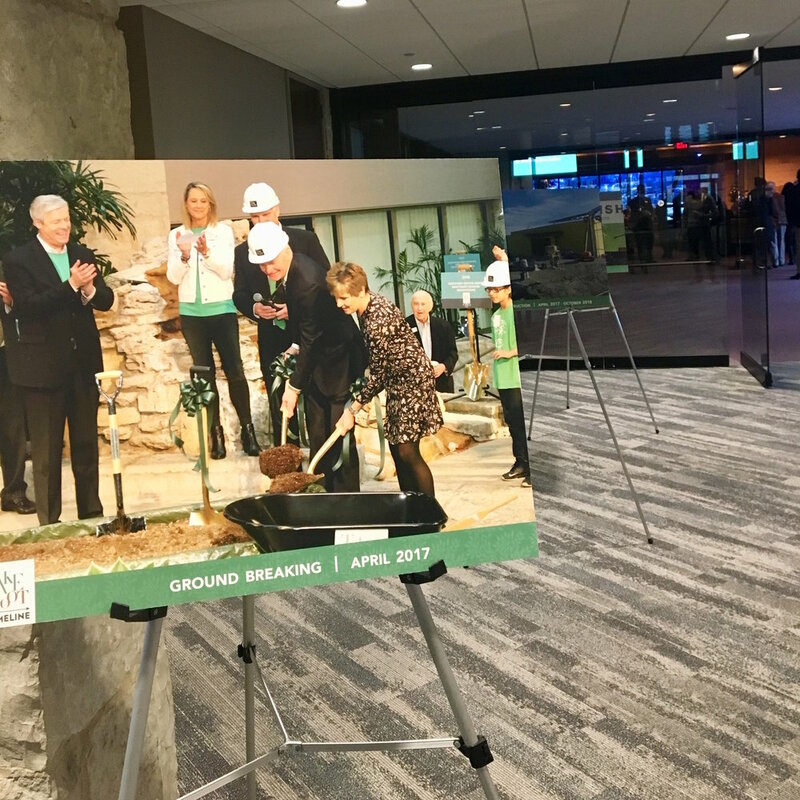 A tour of the Oak Brook location will feature several points of interest, including the new atrium and auditorium; the classic worship service sanctuary; narthex; and children’s Discovery Center. There will be refreshments in the Garden Plaza and live music. 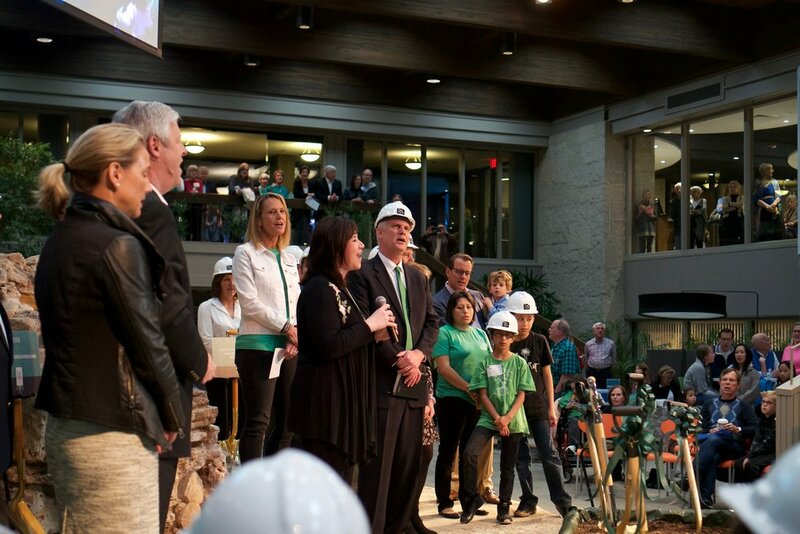 A dedication service of gratitude will follow in the new auditorium at 5:00 p.m.
For a child in Kenya, a single pencil can make a world of a difference. Families have to save for a very long time to buy one. When children receive one, many break it in half to keep part of it for safe keeping. The Christ Church Family Ministry is working to deliver the hope and tools needed to help our young friends across the globe. Watch below to see the impact you can help us make for the sake of others. What does this Take Root commitment mean to you and your family? We are looking for people willing to share their story! We want to hear how your Take Root journey has brought you closer to Christ. Please consider inspiring others by sharing your story about how Christ Church has impacted your life! The construction team is keeping it interesting! Just like that, the yellow walls turned blue, and we can finally see what the worship venue will look like from inside. Take a look! For more info on all things Christ Church Downers Grove, visit our website. Every week, there are new developments to see on the Christ Church construction site. Watch the latest drone footage of the progress here! 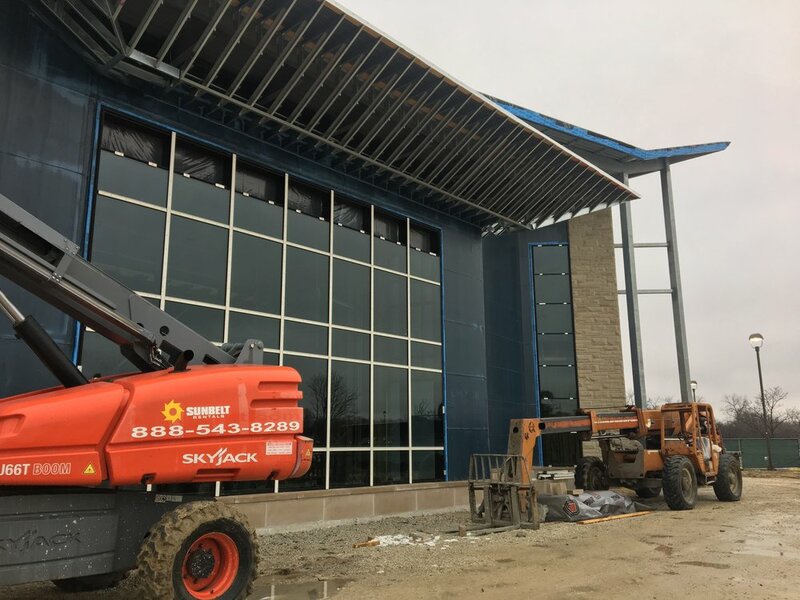 On a chilly morning in late November, the staff of Christ Church watched one of the final large, exterior pieces of the new worship venue, raised to its place in the grand structure. Visit our construction page for the details! Over the past year the Lord blessed us with His presence and favor so we could be a blessing to others. Please pray that God continues to inspire, encourage, and challenge each of us in this journey. That He speaks to us regarding our own participation. And, that we respond to His mercy, His grace, and His gospel by Taking Root more deeply in Him for the sake of others. What does that look like for you? Over the past 12 months, God has been stretching and growing us in ways we never thought possible through our Take Root journey. And we’re not stopping there! Join us for this 5-week series starting October 14/15, “Flourish”, as we dive into the inspiring book of Acts and take a deep look into how God can use us for the flourishing of His Kingdom. At Christ Church, we believe that, many times, life-change happens in smaller communities of people. As we approach our Flourish series on the inspiring book of Acts, we are encouraging everyone to get into a small group. 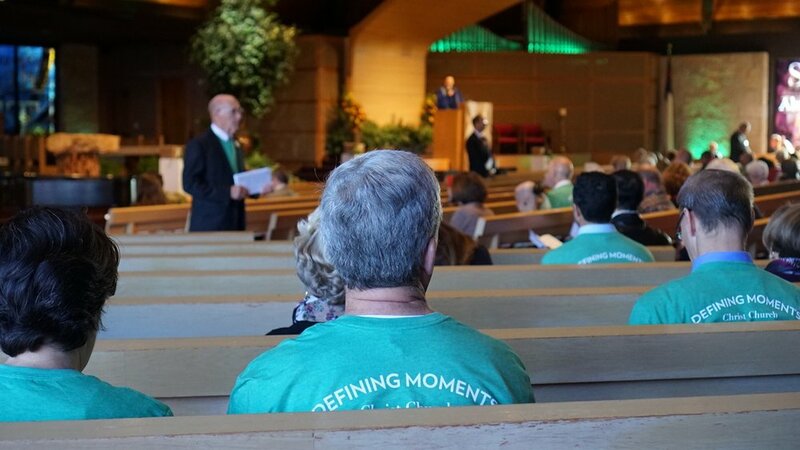 If you missed it, we announced the first-ever multisite branch of Christ Church - Christ Church Downers Grove - in worship services. Click here to see the exciting announcement from Rev. Dr. Dan Meyer and Rev. Eric Camfield and learn more about the season ahead! As we approach the mid-point of our Take Root journey, we are excited to kick-off our new Flourish Series. Last year, the church-wide Take Root small groups made a tremendous impact on hundreds of lives and we hope to grow that impact even more this year with Flourish small groups! If you have been considering a more active role but have been wary of the commitment, we have the perfect opportunity for you. We have 80 leader spots left to fill for this five-week study and hosting has never been easier. Each group would contain 8-10 people for 90-minute sessions each week. We’ll provide everything you need: the training, curriculum, and even the people (though you are free to form your own group)! Feeling called to lead? Visit the Small Groups page to register. We are making great strides in extending our reach and spreading the love of Jesus Christ through our Roosevelt Road and Africa Initiatives. Many from our church family have already begun to follow God’s call to make an impact in these communities and we would like to invite you to do the same. From GO Team trips to Kenya to heartfelt prayers, there are many ways for you to be personally involved in these initiatives near and far. We would love for you to partner with us in being the hands and feet of Jesus in these two parts of the world. If you feel called to serve in any capacity, please stop by the SERVE Desk in the Commons on Sundays where you can find more information about how you can get involved or contact the Missions Ministry at 630.321.3921. We are excited to share that we made history once again the week of November 25/26 with our first big give to Take Root! 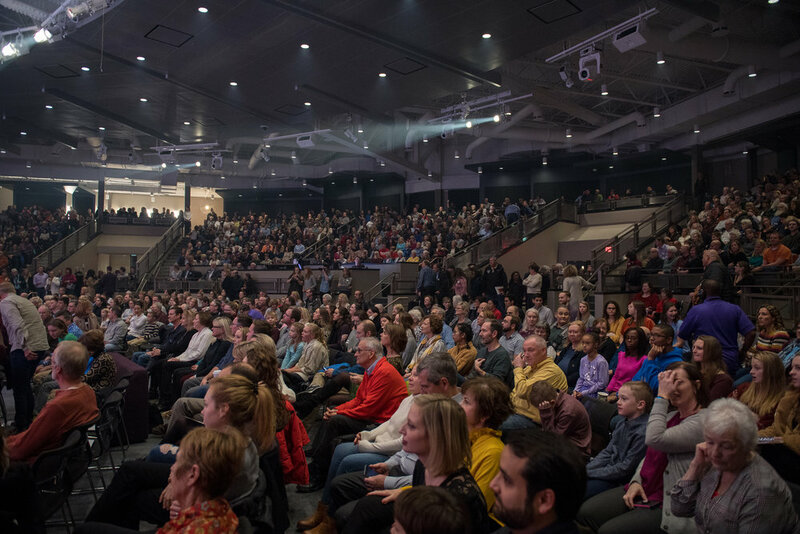 Through the grace of God and the generosity of our church family, we had a record weekly offering of $1.05 million. Please join us in praising God for his amazing vision for us to root our lives more deeply in Christ for the sake of others. Through the generosity of God’s Spirit at work in the life and heart of Christ Church, we have just made the largest single commitment in the history of any American church our size. That is just awe-inspiring! It is not every day that we ask our church family to attend worship in a tent. Stranger still, we held this service during game three of the Chicago Cubs playing a home game in the World Series! 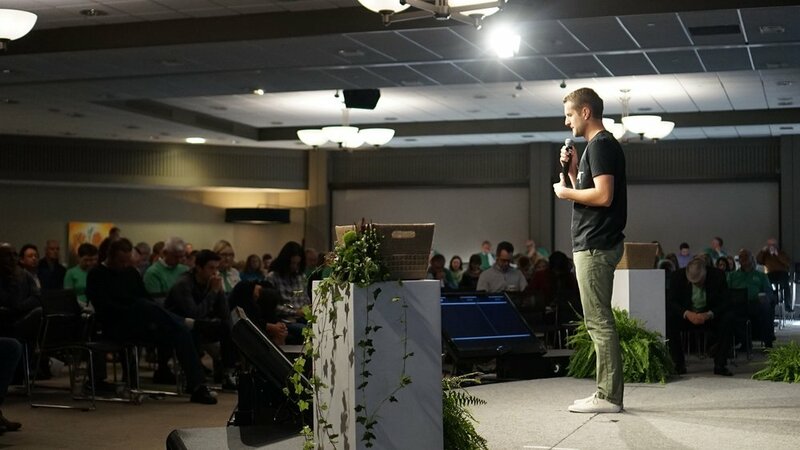 Yet, more than 600 of our leaders, volunteers, and our entire church staff came together on October 28 for a very pointed purpose—to lead out in their commitment to Take Root. If you were here, you felt God’s vision moving in and through each of us as we worshiped together, heard stories of transformation, and listened to a profound message from Rev. Dr. Dan Meyer.